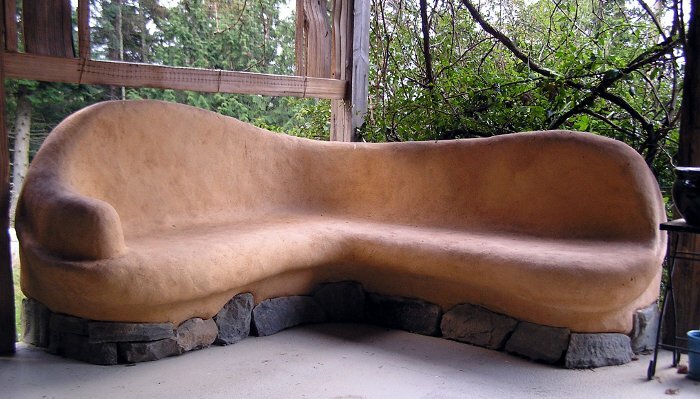 This workshop is located in one of the sweetest spots I have seen in my travels. Less than a mile from the “North Shore” world-class surf, kitesurf and windsurf beaches of Fuerteventura, we will be learning and building on an organic farm in the minuscule village of El Roque. Miltiadis is a Moroccan-born French-Greek 20-year resident of Fuerteventura. He is a one-man show supplying restaurants, markets and individuals withe the FINEST organic produce on the island. Militadis is a progressive mover and shaker and will be installing the first agricultural Aquaponics system on the islands this month, as well as building the cob addition he always wanted to his half-finished conventional house. Summer in Fuerteventura is hot and windy, a great combination for getting cob walls up quickly. We will build a 250 square foot cob addition (living room, kitchen, bedroom) to a conventional house with a 2nd story on the end. 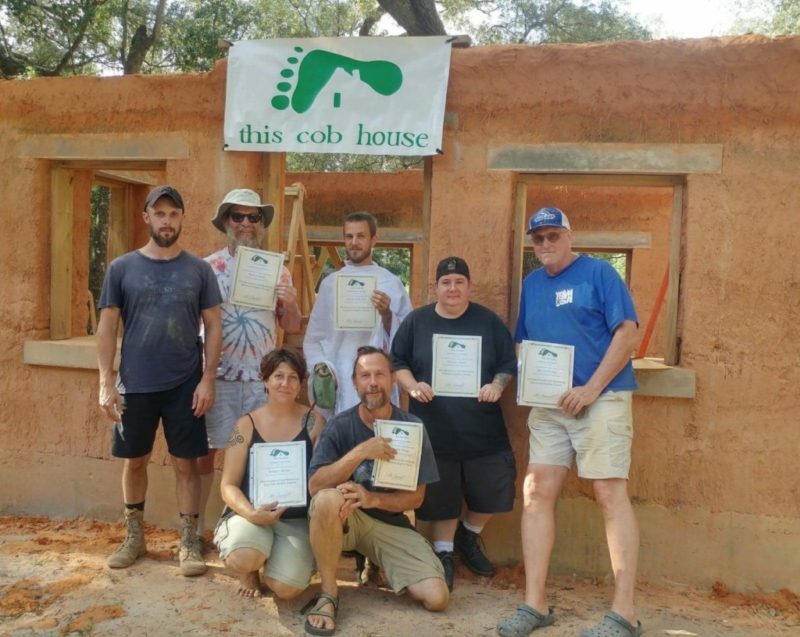 We will learn how to make cob the traditional way with our hands and feet first for several days and then take advantage of his tools to focus on construction. During this workshop we will attempt a new technique for making the cob in large amounts with a compost mixing attachment on a tractor, which will make all the cob for the day in record time. 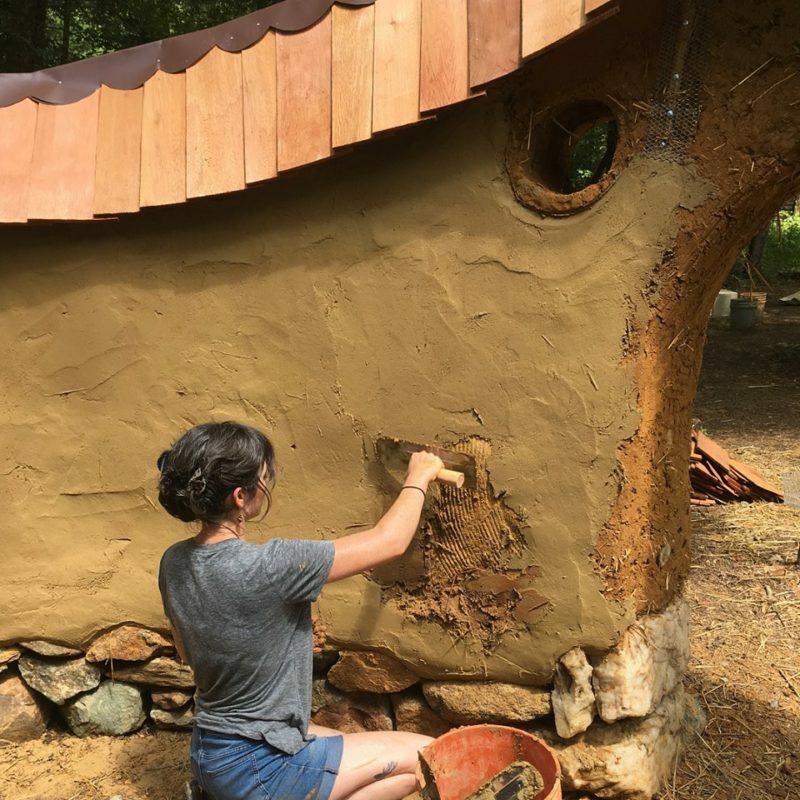 The goal is to finish at least the ground floor walls in 2 weeks (workshop plus following week of optional work trade), apply a light cob layer to seal the roof of his main house, pour the base floor coat and plaster some or all of the main building and possibly the new one depending on dryness. During the workshop we will be inserting windows and artistic elements like bottles, sculptures, mosaic, bookshelves, altars and furniture. There is a cement slab is in place and most or all of the rock foundation will be finished beforehand. The lectures will cover all phases of cob house construction as always. The workshop is either for 3 days or 7 days and includes all three meals and camping, or you can just have lunch and stay somewhere else. There are many options in El Cotillo (the beach) only a mile away and Lajares (cool artsy earthy town), 4 miles away. The food will be vegetarian and organic as much as possible, using his local produce. Evenings we will gather for lecture, discussion, slideshow, DVD’s, as well as music, fire, and a great time. The week after the workshop will be open for work trade to finish the building, meaning food and camping for 5 hours work per day. Should be a wonderful community experience for all!!!! The exact location can be found at this link. 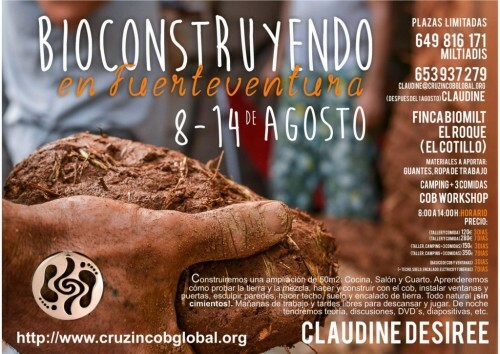 For more information and to register, please visit the CRUZINCOBGLOBAL.ORG and email claudine@cruzincobglobal.org and visit our Facebook page for photos of previous workshops on Fuerteventura this year!